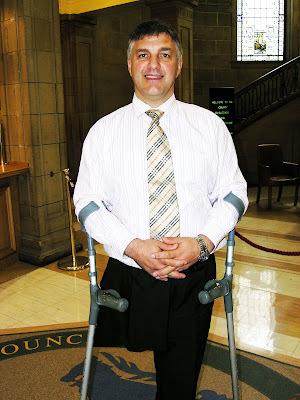 A SOUTH AYRSHIRE COUNCIL employee, Colin Duthie (pictured below) will be one of a team of 30 manual wheelchair users who will be attempting a world record at Lasham Airfield in Hampshire on 6 September 2008. The British Disabled Flying Association (BDFA), who provide opportunities in aviation for disabled people, invited Colin to take part in the world record attempt after hearing about him reaching the top of Ben Nevis earlier this year in a wheelchair. 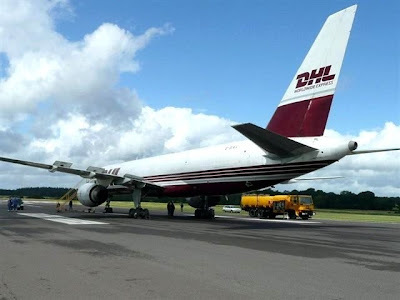 The team will be pulling a 57-tonne Boeing 757 (pictured above) along the runway to demonstrate what amazing things people who use wheelchairs can achieve. As part of the challenge those taking part are asking for people to sponsor them, all funds raised will go to the BDFA who will use them to provide opportunities for disabled people to enjoy the excitement of flying light aircraft. 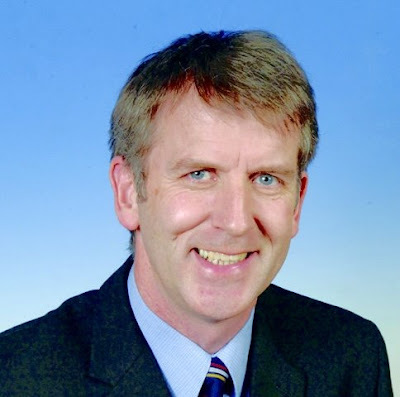 Councillor Brian Connolly (pictured above) is chairman of South Ayrshire Council’s Group on Equalities and Diversity. He said: “Taking part in this event will be an unforgettable experience for Colin and everyone who watches it. One of the aims of the world record breaking attempt is to change the attitudes that some people have towards people with additional support needs. Another is to raise funds for the BDFA in an exciting and innovative way. Speaking about the challenge facing him, Colin said: “I have always found that the greatest gift in life is to help others. Pulling a plane along a runway with my team members is going to be a challenge, but nowhere near as difficult as the challenges that some people face every day living with a disability. Sponsorship from colleagues within the Council, members of the public or companies would be gratefully accepted by Colin. In return for sponsorship from any businesses, Colin is willing to place their logo somewhere on his wheelchair during the word record attempt. Anyone who would like to sponsor Colin can e-mail him at colin.duthie@south-ayrshire.gov.uk or log on to www.justgiving.com/757pull where donations can also be made. There are currently 324 Ayrshire business stories permanently archived on this site. To locate those of most interest to you, please use the site search facility in the top left hand corner of this page. Type your search term in the white box, then click “SEARCH BLOG”.